The following is only a concise introduction to the area of charitable giving, and certainly does not cover all methods of giving or all aspects and tax consequences of the methods actually described. However, it is intended to explain, in basic terms, a few of the currently popular means by which many individuals support their favorite charitable organizations. Everyone should consult his or her own attorney, accountant, life underwriter, trust officer or other financial advisor for additional information including the details of any applicable tax consequences. Generally, most gifts are in the form of a check written by the donor. The gift is fully deductible for income tax purposes in the year of the gift. Many companies will match your gifts to qualified charities. The terms vary by company. Outright contributions of appreciated securities and real estate which have been held for more than the applicable holding period (depending on the date of acquisition) give the donor an income tax deduction equal to the fair market value of the property on the date of the gift. 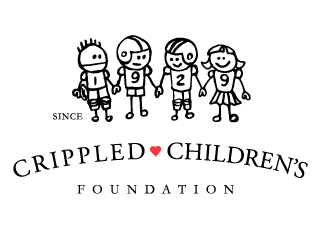 Real estate, stocks, bonds, and/or other investment securities can be left by will to the Crippled Children’s Foundation. Additionally, the will could provide for a specific cash bequest of a certain dollar amount or as a percentage of the value of the individual’s estate. The trust agreement can provide that the donor and/or his spouse or other family members will receive certain “income” payments for their respective lifetimes. Ultimately, the principal of the trust will be distributed to the Crippled Children’s Foundation upon the death of all lifetime beneficiaries. The rules relating to charitable remainder trusts are extremely technical and must be strictly followed. Nevertheless, these types of trusts offer opportunities for saving income and estate taxes, while reserving income payments to the donor and other family members, with the principal of the fund ultimately going to the Crippled Children’s Foundation.